The towering Ivorian has been one of the Premier League's finest imports, bullying defenders into submission and producing moments of genuine quality since he joined back in 2004, but this season has seen an alarming dip. In November, the 33-year-old complained of feeling unwell before Chelsea's trip to Liverpool and sat out the first half before coming on as a substitute in the 2-0 defeat. Tests later revealed that the forward had malaria, an energy sapping and potentially fatal disease. Remarkably, and either a testament to the man's strength or the stupidity of the club's medical staff, the player did not miss a game, yet clearly was operating at nowhere near full power. The striker has scored just five goals in the 24 games he has been involved in since the diagnosis. There is of course the possibility that the illness is masking a natural decline towards the final seasons of his career, but last year Drogba, a fine athlete, was immense, showing very little sign that such a dramatic drop was to come. Malaria has at the very least brought forward the expiry date on the striker's top-flight performance levels, and at the worst has left him not even half the player he was just 12 months before. Last year Chelsea was relatively lucky with their injury woes en route to a domestic double, and had the added security of veteran stalwarts like Deco, Ricardo Carvalho, Juliano Belletti and Michael Ballack to call upon to ease the load in the event of a spate of knocks wiping out starters. This season has been different. Since pasting Wigan at the DW in August, Yossi Benayoun has been hit by a serious injury which had kept him out until only the past two weeks; John Terry missed a chunk of November, coinciding with the beginning of the rot in form; the dependable Alex has been absent since December with a knee complaint; and even Frank Lampard, who has an appearance tally that usually only goalkeepers can reach, has been afflicted with problems, missing September through November. Undoubtedly such key losses have harmed Chelsea's hopes this season, particularly the two more senior absentees. The England men have been the Blues' rocks of Roman Abramovich's success and their calmness and influence were sorely missed through the disastrous winter run, effectively leaving the side playing catch up for the rest of the season. By December, most fans and pundits were in agreement that serious investment needed to be made in January to avert the highly likely disaster scenario of the club not even qualifying for next season's Champions League. A quality forward was the most obvious area of improvement, and when the Stamford Bridge outfit beamed their Striker-SOS-Signal in the direction of Merseyside, Fernando Torres looked up to the skies and knew he had to answer it. But, despite signing for a mammoth £50 million fee, he still hasn't answered the distress call and has spent his nine games for the club wandering around forlornly, scarcely showing a flicker of the quality that is hidden beneath the depressed exterior. The Spaniard's cause has not been helped by being forced to play in unusual systems and unfamiliar positions, lending credence to the theory that this was, like Andriy Shevchenko before, the owner's signing foisted onto a manager who had made no plans for an extra striker. The 27-year-old's presence should add variety and danger to Chelsea's forward play, but the clear confusion has muddied the team's passing moves as he has been unable to forge a partnership with Lampard, Drogba or Anelka, leaving the Blues blunter and more bundling than ever on the attack. Carlo Ancelotti's right-hand man left in acrimonious and unclear circumstances, with his exit immediately being followed by a stretch of mediocre and downright dreadful performances. The former AC Milan and Manchester United player is a renowned coach whose technical know-how and tactical understanding may not necessarily come through as a co-commentator but would surely have resonated through Chelsea's Cobham training ground and on match days. Players would have looked up to a man capped 84 times by his country and been instrumental in the double-winning side of last season. His shock dismissal would have raised eyebrows and disheartened spirits throughout coaching and playing staff. At times last year Chelsea produced breathtaking performances with a full starring cast, but too many players have coasted through this campaign, and they can have no-one but themselves to blame. 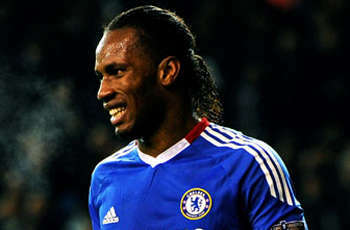 Michael Essien, Florent Malouda and Ashley Cole were all at the top of their game last season. This season has been dramatically different. Essien's wild tackles, which have always been a part of his game but have been mostly overshadowed by formidable all-round play, have often been his only noticeable aspect of his presence. Malouda is only four goals short of his haul of 15 last season but his overall game has been nowhere near the high levels set last season, with the winger even being replaced by Yuri Zhirkov in the starting line-up against Manchester United on Wednesday – an unfathomable fall for a player who was heinously underrated last season. And Cole, perhaps like Drogba and Lampard, appears to be slipping into his retirement slippers a bit too early, with some timid attacking displays, not least in this week's Champions League quarter-final, that are wildly uncharacteristic. It may seem ridiculous that a man who won the double in his first year in a foreign league, bringing the title back for the first time in four years, should be facing questions about his job security, but the Italian has this season. 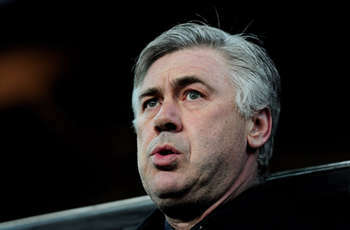 As soon as the cracks began to emerge in Chelsea's season in November, the 'Ancelotti out' rumors cranked up. At the time they seemed malicious and not rooted in reality, but his seeming acquiescence to Abramovich by playing the out-of-form Torres at the expense of the team's balance, combined with his failure to keep his players in check or performing to their best, and a gutlessness in the big games has raised serious doubts about the former AC Milan manager's suitability in the long term. Rumors of a return to Serie A with newly cash rich Roma have been whipped up even by the man himself, who seems to have one eye on a summer exit with his reputation still intact. 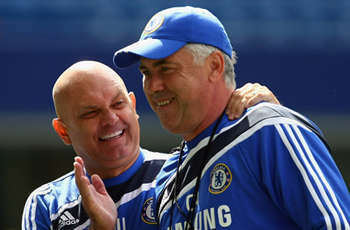 The Italian has said that it would be a "dream" to manage the team that he made nearly 200 appearances as a player for, and with a certain Portuguese boss in Spain making noises of a return to the Premier League, some Blues fans might not be too fussed about saying arrivederci to Ancelotti.